Posted on June 6, 2018 at 4:33 pm. Kristin Lewis is not only the founder and Executive Director of the Kristin Lewis Foundation, but her travels as a world- renowned opera singer have taken her literally all around the world! Kristin credits most of her travels to the opera Aida, one of Giuseppe Verdi’s best known operas. 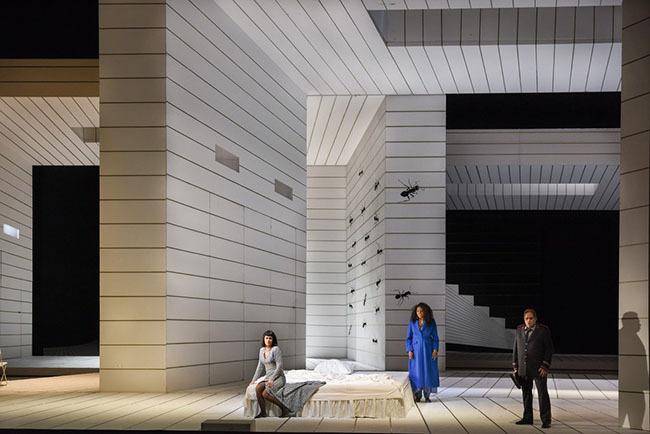 This particular opera has become a signature one for Ms. Lewis, which has given her worldwide fame. She has been honored to perform the starring role of Aida more than two hundred (200) times! Aida is set in the land of Pharaohs. Aida, an Ethiopian princess and daughter to the king, was kidnapped and taken to Egypt. She inadvertently falls in love with the courageous general, Radames, who is going to war with her home country. The miserable Aida is in a tormenting predicament because she has to choose between the country she cherishes and the man she feels she cannot live without. This opera was originally commissioned by the Cairo Opera and performed in 1871. This poignant classic allegory has been conquering the world stages since this time. Ms. Lewis is on a mini break from performing; therefore, we had the opportunity to sit down with her to check-in and see where are some of the places she has traveled and to find out what she has been doing. KLF Newsletter: Hello, Ms. Lewis! How are you? Where have you been traveling lately? Let me just say it –inquiring minds want to know. Kristin:Ha, ha… Inquiring minds, huh? Well, I’m currently resting at home; however, I just finished a production of Aida in Hamburg, Germany at the Hamburg State Opera. This production was directed by Guy Joosten. We wrapped things up in March. KLF Newsletter: Wonderful! I know that Aida is your signature role. What has been the most rewarding and challenging opportunity related to performing the role of Aida? Kristin: Well, what was very challenging to me during my initial performances, was discovering how to bring the character of Aida to life. The setting of the opera is in the ancient Near East. Therefore, I had to learn as much as I could about that culture, so that I could make my character as close as authentic as possible while also making her relatable to the audience. This meant creating my personal interpretation in order to bring out the emotions and actions of the character. Performing this role is very challenging and rewarding. Each experience with this role has been different because of my always working with a new cast and director who have their own interpretations of how the opera and its characters should be presented. In fact, during my most recent production in Hamburg, instead of the setting taking place in ancient Egypt, it was a modern day presentation. Of course the music and libretto didn’t change, but the setting was different. KLF Newsletter: : Did that version significantly change how you approached the role? Kristin: Yes, surprisingly it did. This was a rare opportunity for me to be a part of a production where the setting was more realistically geared toward today’s standards. In this production, I did not have to act like an Ethiopian that required me to assimilate to Egyptian culture. I could relate to the role as Kristin in today’s society. I did not have to control the acting as much in regard to my reactions and responses in this particular version. The character came to life for me in a new and dynamic way. KFL Newsletter: Wow! That’s amazing! Thanks for sharing with us Ms. Lewis, and we look forward to learning what other places in the world you will travel to and perform in. This interview was given by Amelie Jones, a local pastor in the United Methodist Church, a journalist and a producer for the award winning radio show, “The Method: Real Talk for Real People. She is also a published author whose work has been displayed in the world famous Bridwell Library.